Our community is a very involved community. Everybody comes together from all these different agencies and organizations to do things for the good of the community. Originally carved from parts of adjacent Pulaski and Cumberland Counties, Wayne County lies at the south-central Kentucky crossroads of the Appalachian Coalfields, Bluegrass, and Pennyrile regions, with its southernmost boundary nestled against Tennessee. The county keeps time in both the eastern and central time zones. While considered part of Appalachia, the terrain is less mountainous than many other parts of the Region. The gently rolling land lends itself to farming soybeans and corn and raising cattle. Lake Cumberland is Wayne County’s largest tourism draw, and at one time the area nurtured a vibrant luxury houseboat construction industry, until it collapsed during an economic downturn. The county is named for General “Mad” Anthony Wayne, a hero of the American Revolution and the Northwest Indian War. Monticello, the county seat, conveys its military history in monuments at the local courthouse; in the World War I “Doughboy” statue at the intersection of Main and Columbia Streets dedicated to 23 Wayne residents who died in service to their country; and in the old Hotel Breeding, now a museum filled with curated Civil War military memorabilia. Monticello is listed on the National Register of Historic Places and has strong architectural bones. The F&H Pharmacy, an old-fashioned store featuring a lunch counter, convenience items, and a pharmacy, is the heart of the downtown. The town is quiet, with few people on the tidy sidewalks. These better-than-expected results are likely influenced by local conditions and initiatives that improve overall well-being. Field work shows that Wayne County’s strong community partnerships and social connections, integration of health services, and focus on healthy foods are likely contributing to the better-than-expected health outcomes. Wayne County’s classification as a Bright Spot means that, on average, the county performed better than expected on several health outcome measures, given its characteristics and resources—that is, the socioeconomics, demographics, behaviors, health care facilities, and other factors that influence health outcomes. It does not mean that all Wayne County residents enjoy excellent health. Wayne County still lags behind national rates on many health-related indicators. Like other counties with limited resources, Bright Spot counties face many challenges to attaining good health outcomes. Wayne County’s performance, however, indicates that certain county conditions or programs may be helping generate better-than-expected outcomes—and that other resource-challenged Appalachian counties may benefit from adopting similar initiatives. Wayne County represents a nonmetropolitan county in Central Appalachia. It is one of nine Bright Spot counties in Appalachian Kentucky. Attractive for its outdoor amenities and recreational opportunities, Wayne County is bordered by Tennessee and Lake Cumberland. Part of the chain of lakes in Kentucky and Tennessee created by the Tennessee Valley Authority and the Army Corps of Engineers, Lake Cumberland makes the county a destination for recreation and tourism. Wayne promotes its strong military history and its well-maintained historic preservation sites to tourists as a complement to outdoor-recreation attractions. However, half of the workforce commutes outside the county to work, largely in lumber and manufacturing (Kentucky Cabinet for Economic Development, 2015). Schools and government are also major area employers. The population of almost 21,000 is spread across 13 communities. Wayne is racially homogeneous; roughly 96 percent of its population is white. Fewer than 36 percent of adults have at least some college education, compared with the national median of 63.3 percent. Classified by ARC as economically distressed in fiscal year 2017, Wayne County had an unemployment rate of 9.7 percent in 2014, compared with the national unemployment rate of 6.2 percent. The county’s 2014 median household income was only $30,619, compared with the national median of $56,135. Although Wayne is a “dry” county, concerns about opioid and other drug use run high, as they do throughout much of the state. Lack of public transportation is also a challenge, and is often a barrier to getting health care and other services. Rural Transit Enterprises Coordinated (RTEC) provides free transportation for Medicaid recipients, charging others $0.80 per mile. People who do not qualify for the RTEC subsidy and cannot afford its fee must rely on personal transportation to travel out of the county as there are no taxi or public bus services. But beyond these challenges is a commitment to community health that has engaged the energetic efforts of a network of government, private, and nonprofit groups in various sectors that share their limited resources to advance the common good. Together they have focused on expanding access to healthy foods, addressing mental and behavioral health needs, promoting healthy child development, making comprehensive health care available to more residents, and providing supportive services to those who need them most. Residents of Wayne County have a long tradition of relying on each other and local resources to address challenges. They do this by partnering with other organizations—often across sectors—and sharing resources creatively. Their sense of community pride translates into a range of efforts to support community health. Community partnerships and social connections: Sharing of resources to improve the health and condition of residents was evident across organizations in different sectors. Community organizations and religious groups routinely work together, strengthening the sense of community and the relationships between health care and other sectors. Strengthening and integration of health services: Traditional health service providers improve access to and coordinate care, but their targeted support of at-risk groups, such as youth and people with mental and behavioral health issues, stands out. This targeted support helps to balance and integrate other services into the realm of health care delivery. A focus on healthy foods: The “Kentucky Proud” farming philosophy extends into official programs and supports the production and consumption of local fresh produce and products. This innate mindset contributes to a shared value of health. Social support programs: Local nonprofits help people rebuild lives and family structures. As in the other Bright Spot communities explored in this report, people here have worked to elevate physical, social, and economic health in several ways. Field work undertaken for this report identified local practices in Wayne County that appear to be contributing to overall health, documented effective practices that could be replicated in other counties, and identified promising practices and strategies that should be explored further. Their approaches fall into four overarching categories observed in other Bright Spot counties: leadership, cross-sector collaboration, resource sharing, and local providers committed to public health. Wayne County benefits from strong leadership. 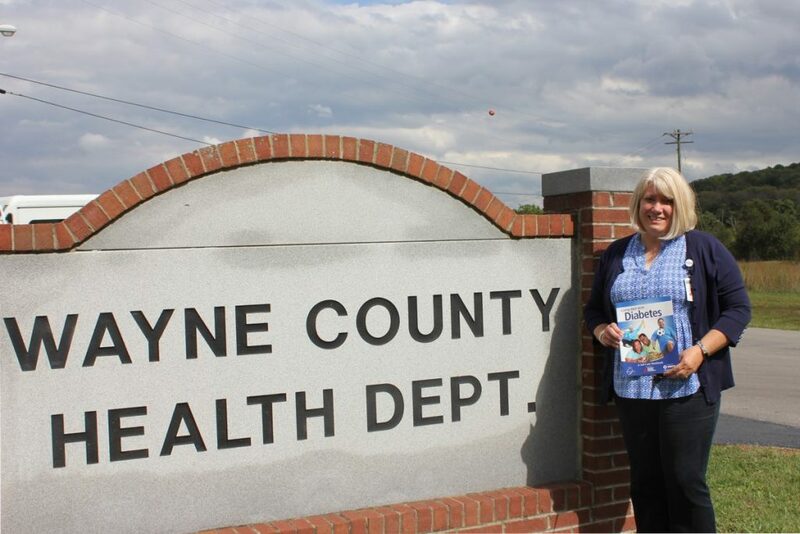 Notably, the Wayne County Health Department, which is part of the Lake Cumberland District Health Department, and the University of Kentucky Wayne County Cooperative Extension Service have played critical roles in improving community health. For example, the county health department has led the way in expanding access to healthy foods for seniors and recipients of the Special Supplemental Nutrition Program for Women, Infants, and Children (WIC) by issuing vouchers redeemable at the weekly local farmers’ market. In fact, the farmers’ market redeems 59 percent of the department’s WIC vouchers. Part of this success is attributed to an emphasis on local food culture and encouraging residents to buy homegrown “Kentucky Proud” produce. In addition, the health department has moved aggressively to combat the epidemic of diabetes affecting so many Wayne County residents. It offers a free diabetes prevention class, as well as other classes to educate people with diabetes and their families on the importance of maintaining healthy blood sugar levels and on how to better manage diabetes through healthy eating and cooking. Another health department initiative, the HANDS Program, may contribute to better-than-expected rates of infant mortality and low-birth-weight births in Wayne County. HANDS is a volunteer home visitation program for new and expectant parents that provides education, connects families to services they may need, and promotes child safety and development. The extension service promotes community health and well-being through a range of initiatives, including programs for better nutrition, weight loss, worksite wellness, career readiness, life skills, and women’s health, as well as health fairs and an afterschool walking club. A “Local Ingredients” program with the Future Farmers of America, 4-H, and the Master Gardeners club grows vegetables on four acres for public schools and saved the school system an estimated $24,000 in 2016 while increasing students’ consumption of fresh produce. 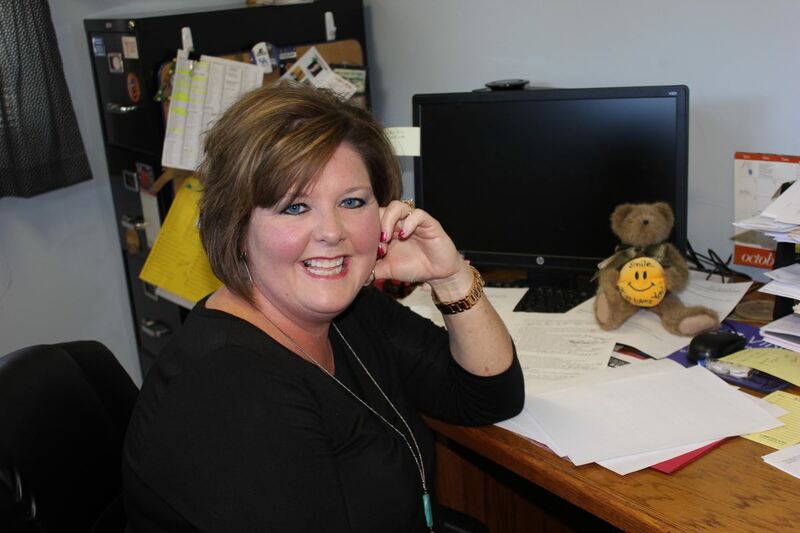 A drug prevention program sponsored by the extension service not only deters young people from using drugs, but has also created new community partnerships among law enforcement, juvenile justice services, and the local women’s club. A recent campaign brought together nearly 200 volunteers to educate school-age kids on drugs and alcohol. Other groups mentioned as playing leadership roles include the Wayne County Health Coalition, whose members work together to address pressing health issues, and the Adanta Group Wayne County Mental Health Center, a private, nonprofit service provider addressing mental health, developmental and intellectual disabilities, and substance use disorders. Adanta’s programs for kids and adults range from case management to linking clients to social services, such as transportation or housing support for the homeless. Jody Paver, University of Kentucky Extension Service agent for family and consumer sciences, is seen as a primary influencer of health and wellness initiatives in the county, as are Vicky Albertson, a nurse for the health department, and Melissa Jones, of Adanta. These three women play leadership roles in various health initiatives and in ensuring that residents get education and services necessary for maintaining and improving their health. They expressed optimism for Wayne County’s future, citing stepped-up efforts to ensure access to comprehensive and continuous care, the success of the farmers’ market, increased opportunities for physical activity like new sidewalks and hiking trails, and a recent public vote to maintain the county’s “dry” status as signs of progress. In Wayne County, researchers found a pattern of cooperation and willingness to share resources among government, private, and nonprofit groups. Working together, these groups leverage their strengths to achieve their common goal of improving health and well-being for county residents. These efforts are exemplified by the connection between the Cooperative Extension Service and various nonprofit groups. For example, the extension service works closely with the Hope Center, a nonprofit operated by the Wayne County Association of Ministers and Churches since 1987 that serves homeless people, the elderly, single mothers, victims of domestic abuse, and other people in need, to promote healthy eating. 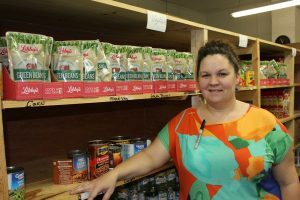 People seeking assistance at the Hope Center are required to complete six educational classes before they can access the food bank. The Hope Center is a certified partner of Feeding America–Kentucky’s Heartland, which distributes donated food and groceries to people in 42 Kentucky counties. Support for the Hope Center from local churches and the extension service shows a strong link between faith-based and government groups. In addition, the health department partners with the extension service, along with religious organizations, on diabetes education. Aware of the drug-related issues plaguing the area, county and local officials are active in youth development. Wayne County Hospital partners with city officials, economic development organizations, the Cooperative Extension Service, and the school system to provide insight on the health needs of the community. These partnerships supplement the delivery of health care services by informing health needs assessments. The Wayne County school district also plays a key role in health promotion and illness prevention. The schools partner with the health department to provide certain primary care services. Adanta mental health services are available in the schools, offering opportunities to improve mental and behavioral health for the school-age population. Wayne County has a small network of religious nonprofits and government agencies that maximize limited resources to provide for those in need. They are a safety net for many residents. These groups not only take care of less fortunate residents, but they also reinforce positive self-help behaviors through religion and outreach. Organizations like the Hope Center and the House of Blessings, a soup kitchen and shelter funded by a network of 20 local churches, use donations and volunteers to provide food, clothing, and necessities for economically disadvantaged residents of Wayne County. Both centers work with the health department and extension service to teach skills fostering self-reliance. Each program thus serves as a stepping stone to independence. The Wayne County Health Council (the main branch of the Wayne County health coalition) is a group of women working together in what appears to be a seamless collaboration. Members meet to develop their individual yearly work plans, working to reduce duplication of services and find synergies to strengthen health initiatives. The group is focused and business-like, adhering to clearly-defined meeting schedules. Local churches are involved with philanthropic organizations within the county, and they provide support for community members through the ministerial association. 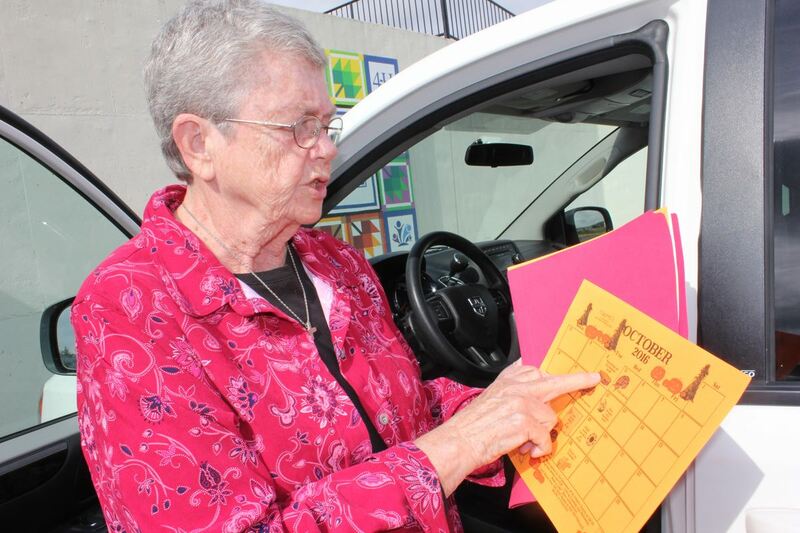 A local Catholic nun, Sister Ann Kernan, started a support group for women called Mountain Moms. The group has served as a resource for Wayne County women for more than two decades and coordinates closely with the extension service, sometimes even providing transportation for residents who need it. Wayne County’s health care network consists of the health department and its related services, as well as several doctors’ offices, pharmacies, and Wayne County Hospital, a 25-bed critical access hospital. In addition to a full complement of laboratory and imaging services, the hospital has a rural health clinic and a physical therapy/rehabilitation department. Coordinated activities between the health department and the hospital work to balance illness prevention and education with acute care delivery. These partnerships have produced nutrition fairs, health education and awareness classes, health promotion, and screenings. Adanta and Intrust Healthcare, both part of larger networks outside Wayne County, offer mental and behavioral health services, such as counseling, case management, and substance abuse treatment. They also offer supportive services, including housing, and coordinate their efforts with the school and court systems. Medicaid largely funds both organizations. Referrals come from family physicians, social services, courts, and schools, with the occasional walk-in. The referral network and closeness of the community allow both organizations to reach their target populations, but lack of transportation is a barrier to services for many residents. Given the challenges these organizations face, collaboration and pooling resources, along with creative outreach, are necessary. School-based health centers also serve as primary centers for preventive and clinical care and are staffed with either a nurse or a nurse practitioner who works to keep students healthy and learning. As mentioned, mental and behavioral health services from Adanta are available in schools, and some school nurses provide preventive dental services (such as sealant placement) for school-age children. Despite the challenges it faces, Wayne County has strong champions for community health from local government agencies, nonprofit service providers, health care organizations, and faith-based groups. These leaders are working together in creative, resourceful ways to improve quality of life for all residents. They have identified pressing health issues, such as diabetes and opioid use, as well as vulnerable groups, including youth and people with mental and behavioral health issues, in need of targeted support. Sharing of limited resources is an important and effective strategy for advancing health in Wayne County. Community connectedness here is strong; people believe in helping each other, as reflected in residents’ participation in volunteer activities and in the presence of social support groups. This sense of community also manifests in local pride in “eating local”—and healthfully. By pooling their efforts for the good of the community, people in Wayne County have created a whole that is greater than the sum of its parts. Commonwealth of Kentucky. 2017. Wayne County Welcome. Kentucky Cabinet for Economic Development. 2015. Wayne County Community Profile. July 10. Accessed July 11, 2017. See Table 14 in the data appendix at the end of this case study for a full list of actual health outcomes for Wayne County compared with predicted outcomes. For details on the outcome measures, see the data files accompanying the report Identifying Bright Spots in Appalachian Health: Statistical Analysis. Table 12 in the Wayne County data appendix at the end of this case study provides a quantitative profile of county characteristics. For a full explanation of the methodology, see Appendix B: Research Approach. For a list of key informants interviewed for this county, see Table 13 in the data appendix at the end of this case study.